Home prices in North Texas have been on a steady climb. According to Texas A&M statistical reports, the average price of a home has gone from about $191,000 to about $286,000 in the past five years. Perhaps real estate really is about location, location, location. We checked out three homes: one near Uptown, another in North Dallas, and one in North Oak Cliff. All three are for sale, in very different price brackets. 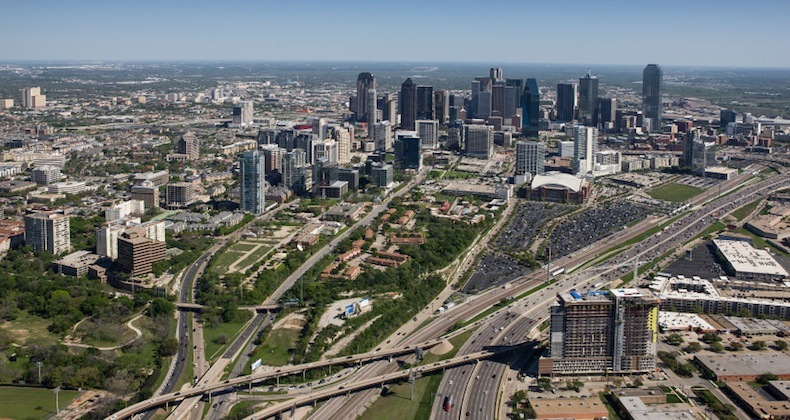 But each property has benefited just by being located in Dallas, where home prices have risen tremendously in recent years, particularly last year. “Last spring was one of the craziest real estate markets I have ever been in. Things were going off the market in hours,” said Steve Habgood, a realtor with Realtor-Hewitt Habgood Group, who showed us the three properties. As part of the tour, Habgood showed us how much different budgets will buy in Dallas, but he also estimated how much the prices have gone up in location after location in just the last five years or so. Home #1 near Uptown: “This home is listed at $1,295,000," said Habgood. He estimated that in 2012 it probably would’ve gone for about $900,000. Home #2 in North Oak Cliff: Now on the market for $339,000. Five years ago, Habgood said it would have been, “Maybe in the 225 (thousand dollar) arena." Home #3 in North Dallas is listed at $729,000. Habgood thinks five years ago the same house would’ve been on the market for $525,000. “My personal impression is I won’t be able to buy a home for a while," says Evan Hoopfer, a reporter with the Dallas Business Journal. They inspired this tour because they're shopping around to see how far your money goes in the different cities around DFW. A renter himself, Hoopfer is put off by the higher home prices. But he thinks the appreciation is likely to continue. “The jobs are going to keep coming to DFW so there’s no real end in sight to that," he said. Habgood agrees, but he has seen some softening. “We have begun recently to see a little bit of a pullback in the market, and I am beginning to see more and more price reductions in properties," he said. There is one price point though that remains red hot, Habgood said. “Anything under 250-300 thousand is selling generally within hours or days." Perhaps that explains why we didn’t see anything in that price range during our tour.